England ODI-T20 Kit 2014 For Don Bradman Cricket DBC 14 Download Now! 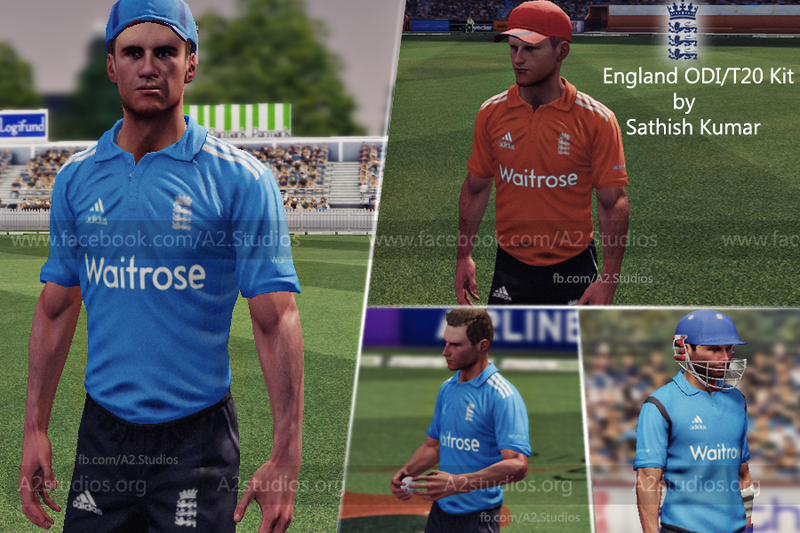 Here comes an other kit for DBC14, England ODI-T20 Kit 2014 for Don Bradman Cricket 14 Download Now. Latest Adidas made kit includes Waitrose as the main Sponsor. 4. Go Back, select “Uniforms” and then, “ODI”. i) Set the Top Model to “Current” and pattern to 8.
ii) Set the Pants Model to “Current” and pattern to 8. 6. Now Choose the correct colors of kit in the "clothing" option. 7. The same procedure applies for T20 kit. just select "T20" instead of "ODI" in the uniforms section. and follow the steps 5 and 6. 8. Also,modify the shirt number , cap and helmet colors. Thats all! You’re Finished.